On the occasion of the 56th anniversary of the Tibetan Democracy Day, the Tibetan Parliament in exile reiterated the importance of unity within the Tibetan community, especially given the significant headwind the movement encounters due to China’s aggressive politics towards Tibet. In its statement, the Tibetan Government in Exile also stressed the need to avoid focussing on parochial issues and to rather focus on, cherish and take advantage of the solidarity among members of the Tibetan diaspora. The Tibetan people celebrated Democracy Day on 2 September , marking the 56th anniversary of the establishment of the Tibetan democratic system. In a statement released Friday morning [2 September 2016], the Tibetan Parliament in Exile recalled the history of Tibetan government, the struggles a young Tibetan democracy faces today, and perhaps most importantly, the need for unity. 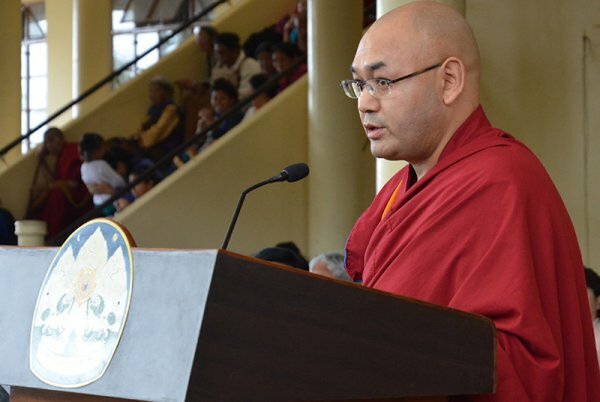 "One important point bears reiterating this time with regard to the development of the Tibetan democracy in exile. With the recent Tibetan general elections for the elections of the Sikyong and the members of the Tibetan Parliament-in-Exile. Those elections saw fair amounts of incidents of Tibetans forgetting how tragic the situation in Tibet and the people in Tibet had continued to remain and the failure by some to appreciate the importance for the Tibetan people to preserve and adhere to the noble traditions and customs which were supposed to inherent in them without any degeneration. Rather, there were crossing of limits in all areas of the campaigning which was highly adversarial and partisan, imitating the kind of bellicose electioneering which takes place in fully independent, powerful democratic countries of the world. It all led to His Holiness the Dalai Lama, the incomparable leader of the Tibetan people, feeling upset and being seized by a compulsion to speak out. Later, during the ceremony at which the Sikyong took his oath of office, His Holiness said, among other things, "to engage in sectarian partisanship and, likewise, provincial and other kinds of strife based on narrow local interests for the sake of a minor temporary purpose for the present can lead to nothing but what one may call parochial minded selfish gains. This is not at all good. We, the Three Province of Tibet, are one as a people, enjoying our happiness together and, likewise, being as one in moments of sorrow. In other words, we are a community of one people, sharing our moments of joy as well as sorrow in togetherness. We all should strive to ensure that there will never be any communalizing of differences based on such things as provincial bias and I want all of you to keep this in mind." ... All Tibetans must now pool their efforts on the fundamental basis of adhering to an unshakeable bond of fraternity, driven by unequivocal commonality of thought and utterance and through actual deeds, maintaining a singled-pointed chisel like unity. It is therefore time that all the officials of the Central Tibetan Administration and the general Tibetan public work in a cooperative manner to make a positive difference that can result from a unity of purpose. "There is no indication that the government of China may change its policy towards Tibet. In fact, the policy has been becoming ever more repressive and ominous... The pieces of land which farmers and nomads across the Tibetan Plateau had owned and freely used as they wished through many successive generations have been taken away by use of force or otherwise partitioned and divided up, resulting in immense livelihood pressure on them. Tibetan nomads who had petitioned to the authorities to seek equitable ownership and division or return of their traditionally owned grassland were not only totally ignored but in addition also subjected to persecution. Given the situation such as this, it has become extremely difficult for the Tibetan people to sustain their livelihood in their own ancestral land. "This year China again issued a similar order, saying the religious academy had too many monks and nuns and their numbers needed to be drastically reduced, that the number of residences of monks and nuns was also too high and that many of them therefore needed to be demolished. The order began to be carried out on 20 July and it is still continuing without any care and concern for the sanctity and dignity of the famed Larung Gar Buddhist Academy. This remains a matter of serious concern to us. The government of the United States of America and others as well as various other major forums have paid attention to this development and also expressed serious concerns. The monks and nuns of the Larung Gar Buddhist Academy have been devoted solely to studying Buddhism and its culture and science and to seeking to benefit Buddhism and sentient beings without being involved in any sort of illegal activity. These actions of the government of China clearly expose its hypocrisy on policy towards religious freedom: it routinely claims that there is religious freedom in Tibet. But it clearly exposes in reality the restrictions and prohibitions in religious freedom. "With regard to all aspects of the Tibetan people's struggle for their fundamental cause, governments across the world, including the United States of America and European countries, parliaments, organizations of various kinds and so on have been continuous in rendering support. In particular, the support from the government and people of India has been especially crucial. Recently, led by the Deputy Speaker, a delegation of members of the Tibetan Parliament in exile called on a number of members of both the Houses of the Indian Parliament during its Monsoon Session in New Delhi. The purpose was to establish rapport, raise awareness about all aspects of the issue of Tibet, and seek support for it. And today, as we commemorate the 56th anniversary of the Tibetan Democracy Day on the Thekchen Choling compound here, we have been joined in our celebrations function by members of the Indian parliament who with giving of speeches and in other manners have extended their support for the issue of Tibet. I take this opportunity to offer my thanks to them all for their having taken interest in the issue of Tibet and for giving support for it. On the fundamental question of the ways in which the just cause of Tibet should be seen resolved, the cultural and religious heritage of the Tibetan people preserved and carried on, and on other related matters, the main factor remains the zest of the Tibetan people to produce results in all their endeavours at all times in keeping with the wishes of His Holiness the Dalai Lama. We accordingly call on every Tibetan to remain unrelenting and adhere steadfastly to their commitment at all times in persevering to reach their goal. This is a matter of utmost importance."